Not everyone has the means to board a private jet and head to Cannes to take in the latest in short film excellence. As for the rest of us, it’s either head to iTunes or Amazon and fork over as much as $12.99 per movie – or be left out in the cold when it comes to short film knowledge. The lack of a readily accessible short film content library isn’t just frustrating for viewers – but also for filmmakers. Without a popular viewer-friendly platform to distribute content to, their creative ambitions often fall short of making it to the screen. That’s why Wes Fleming – a short filmmaker in his own right who struggled precisely with these issues – decided to create Miniflix. Miniflix is a web and mobile platform that offers a curated library of traditional short films all in one place. 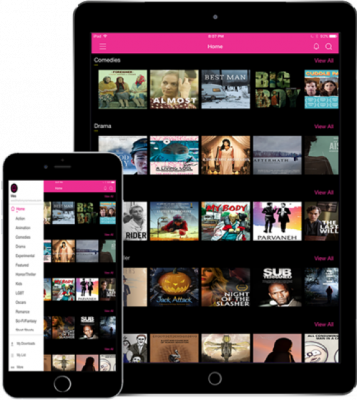 It allows anyone with an internet connection to take in the best that the short film world has to offer, right from the comforts of any iOS or Android device. 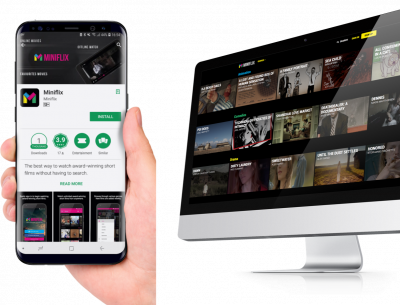 “We provide unlimited access to all the award-winning films created by notable directors and starring notable actors in one place – and for one low price,” said Fleming. And that price is certainly a strong selling point for Fleming and his team. After a 14-day free trial, users are charged just $3.99 per month for 24/7 ad-free viewing. You’ll find comedies, thrillers, animations, and even Oscar winners immediately upon browsing the massive Miniflix library, which is added to every month. Users even have the option to partake in offline viewing during travel and other low-connectivity situations. Miniflix was downloaded 5,000 times during the first quarter after its fall 2017 release and now sits at 2,600 unique monthly users. And as this total continues to grow, other filmmakers are actually beginning to submit their own films to the platform – which really hits home with Fleming. If you’re ready to rejuvenate your viewing experience and start the Miniflix free trial, head on over to miniflix.tv or pay a visit to the App Store or Play Store.